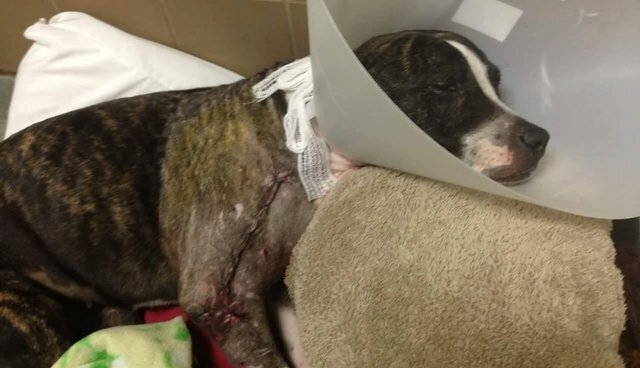 The sweet pit bull named Cabela, who was discovered this week having been shot and left to die tied to railroad tracks, has passed an important first step on the road to her recovery. Although it was initially believed that Cabela's injuries would require one of her front limbs to be amputated, her caregivers are now optimistic that that won't be necessary. 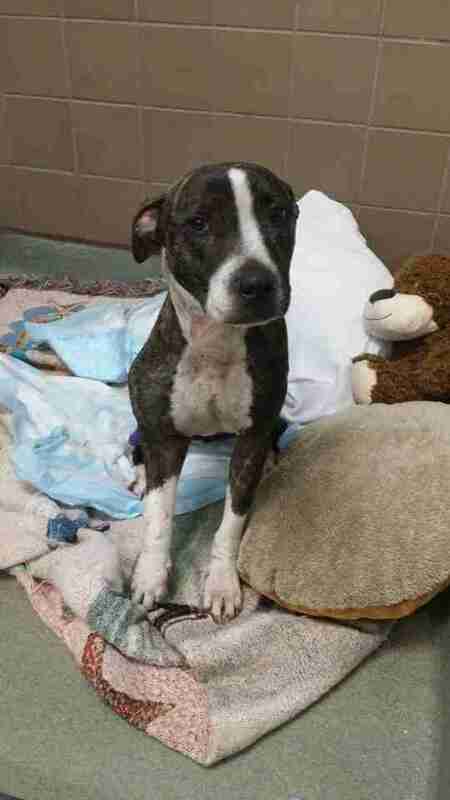 "She's doing well," Mike Lord, from Tampa Bay Veterinary Emergency Services, told The Dodo. "She had surgery last night. They put a pin in her leg and some screws to try to save the leg. She's able to go outside for walks and that sort of thing, so once it has healed, she should be fine." It could take up to 2 months before vets are sure whether she'll have full use of her limb, but if all goes well "she probably won't notice anything," says Lord. Meanwhile, the search is on for the person responsible treating Cabela so heartlessly. Fortunately, as news station WTSP reports, police have received many leads which could help them track down a suspect. "We've already had a bunch of offers to adopt her. She's on pain medication now, so she's really friendly because of that. But even before, she was really friendly and licking us, so she seems like a really sweet dog."